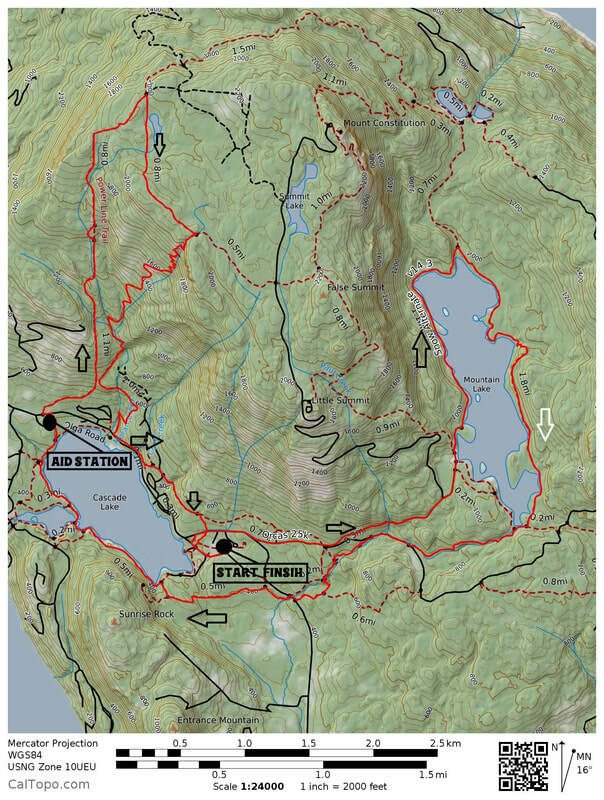 The Snow Alternate course is a 25k loop with about 3500 feet of elevation gain that includes highlight areas Mountain Lake, Cascade Falls, Cascade Lake and THE POWERLINE. The 50k is two loops of the the 25k loop. 25k has one aid station(North Arch) at mile 8.3. Cutoff time for the aid station is Noon(3 hours into the race). This aid station will have drop bags. 50k has three aid stations: North Arch @ mile 8.3(Cutoff 10:30am), Camp Moran @ mile 15,5(cutoff 12:30pm), and North Arch @ 23.8(2:45pm). All aid stations will have drop bags.